We celebrate Christmas each year, but does it sometimes leave you wanting more? That perhaps amidst the gifts, the parties, and the Christmas frenzy, God is beckoning us to something deeper? Are we missing the life changing aspect of Advent and Christmas? Every year we get sucked into the Christmas frenzy, buy more, decorate more, do more, and every year the Advent season ends with a sinking feeling that once again we’d survived but did we really experience the hope, love, joy, and peace that Advent had to offer? Christmas is a time to remember that great conspiracy of God to put the world to rights, to repair what was broken in the garden, and give us new life and hope. Yet, that idea doesn’t light up and we can’t wrap it and put it under the tree so it takes a little more effort and attention to focus on this great advent conspiracy. So that’s what we invite you into this year — we’re not inviting you to keep up with the Joneses or make the perfect Pinterest Christmas, or have the biggest, fanciest Christmas you’ve had yet — instead we invite you into a conspiracy to worship fully (Dec 3rd), spend less (Dec 10th), give more (Dec 17th), and love all (Dec 24th). 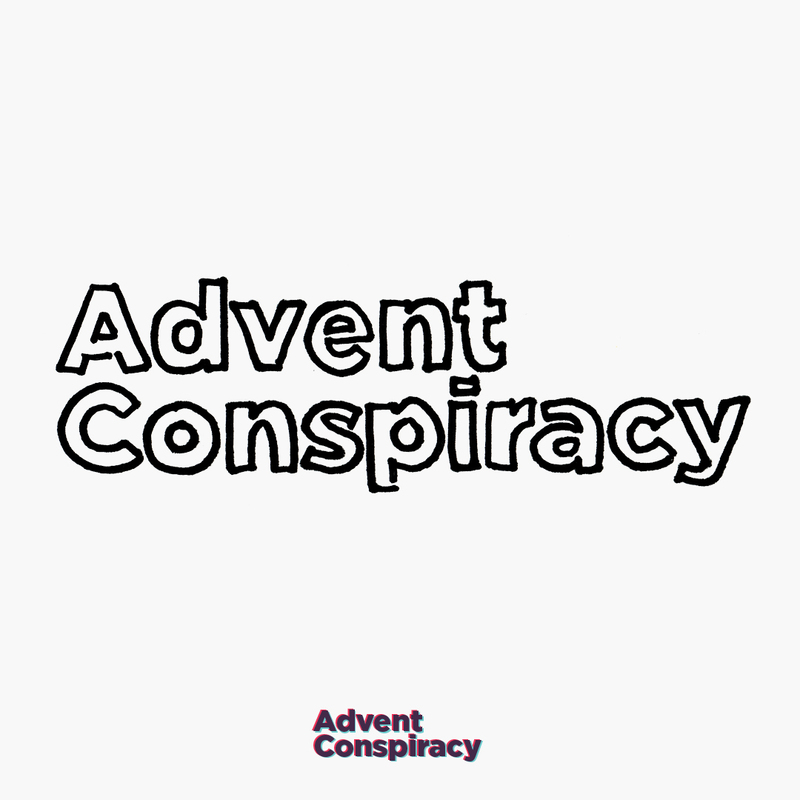 To rediscover and re-live what Advent and Christmas are all about — a savior who came to earth to change everything about life and life after death — to bring us salvation and redemption and to invite us into the biggest upside down conspiracy of all — His Kingdom. Join us each Sunday this Advent to join this amazing conspiracy of God’s love for all creation! Dec 10th at 5:00pm. Come out and support our kids and their hard work in the Christmas Program. We also need cookies for the post-program celebration! Wednesdays, Dec 6th, 13th, and 20th at 6:15pm. Join us for these simple, short, prayer services. These will be opportunities to pray, worship, reflect, & prepare our hearts for the coming of our Lord! Dec 21st at 7pm. This is a service for those for whom Christmas is a difficult time of the year. You can bring whatever you’re dealing with – loss of a loved one, divorce, sickness, loneliness, struggle – honestly & without fear as we look for hope & peace this Advent season. This is a joint service with Bethel UMC. December 24th at 10:30am – join us for our special Sunday Morning Christmas Eve Service. We’ll tell the Christmas story, celebrate communion, and end by lighting candles to celebrate that the light has come!